Schönox iFix - HPS North America, Inc.
Rollable waterproof sealing adhesive for bonding Schönox AB sealing and uncoupling membrane in residential and commercial wet areas as well as in swimming pools. 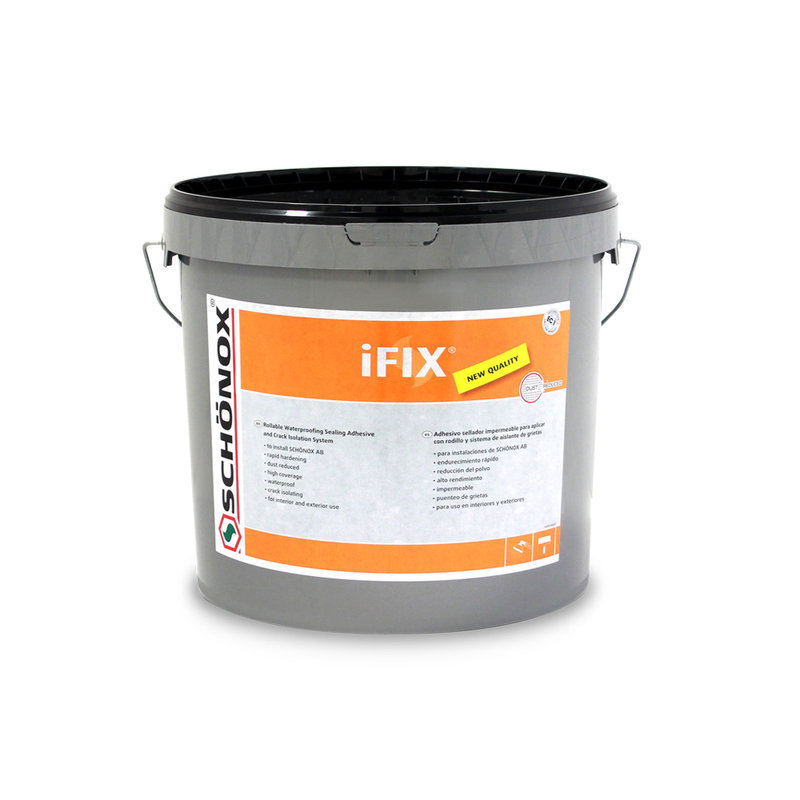 Schönox iFix is based on self-crosslinking, special acrylic and officially approved in heavy loaded wet areas. Store in cool, dry, frost-free conditions.